Adam’s practice focuses on representing individuals who have been injured and families whose loved ones have been killed in accidents. Adam handles cases throughout Georgia and represents clients in personal injury and wrongful death claims, including car wrecks, tractor-trailer accidents, motorcycle wrecks, construction accidents, premises liability cases such as slip/trip and falls, and workers’ compensation claims. Atty. 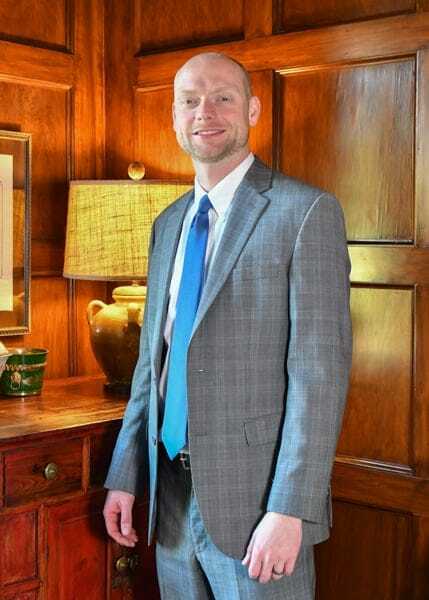 Adam Beecher has been selected to the Georgia Rising Star list by Super Lawyers Magazine for the second year in a row. This is a distinguished honor as no more than 2.5% of the lawyers in Georgia are selected by this publication to receive this designation, which is awarded on an annual basis. He has also been awarded the 2016 10 Best in Client Satisfaction in Bibb County, Georgia by the American Institute of Personal Injury Attorneys. Adam was also selected in 2013 as a “Legal Elite Top Lawyer” by Georgia Trend Magazine, which compiles an annual listing of Georgia’s top attorneys. He was also selected in 2013 as one of 16 attorneys to participate in the Georgia Trial Lawyers Association’s Leadership Education & Advanced Direction (LEAD) Program, which was designed to identify those with leadership potential from among the Association’s younger lawyers. Adam began working for the Powers Law Group after he graduated in 2009 from Mercer University’s Walter F. George School of Law. Prior to law school, Adam graduated from Mercer University’s Stetson School of Business in 2006 where he earned his Bachelor’s of Business Administration with a focus in Accounting. While in college, Adam was a member of the Pi Kappa Phi Fraternity, the Phi Eta Sigma Honor Society, and the Dean’s Advisory Committee. Originally from Effingham County, Georgia, Adam and his family currently lives in Warner Robins, Georgia. Adam is married to Larissa Beecher and they have two daughters. Adam is actively involved in his community and he is a member of the Mount Calvary Lutheran Church in Warner Robins. He also serves in an advisory position on the Warner Robins Redevelopment Agency and elected to the Board of Directors as the Treasurer for Family Promise of Greater Houston County. I have known Adam for almost 10 years. He is a great friend and a great attorney. Adam is honest, hardworking, and committed to the representation of injured plaintiffs. He produces outstanding results and does so with integrity. Adam is truly an asset to the middle Georgia community and the State Bar. I have found Adam Beecher to be extremely knowledgeable in the workers’ compensation arena. Adam’s insight and understanding of workers’ compensation law make him a true asset to the field.